If you would like additional information about any cover I will try to answer it. In exchange for low prices, I must limit the amount of information I provide about a cover. If you really need an additional scan of a cover let me know and I will see what I can do, but I am not promising that I will have the time to send a scan. That said, we try to put good quality covers on the site free of damage, but occasionally we miss something. The covers on offer will satisfy 98% of all collectors. Shipping is by first class mail within the U.S. or by air mail outside the U.S.
Returns are discouraged. Covers are not sent on approval. If you are uncertain about a cover contact me and I will try to help. An effort has been made to weed out covers with defects, especially hidden defects. That said, our screening is not perfect. Occasionally a defective cover will slip through. Please contact me and I will see what I can do. But generally, since the covers are discounted so much and the scan is the description, I will not take any returns, but am willing to work with you. We accept Visa, MasterCard, Discover, PayPal, and U.S. dollar checks or money orders payable through a U.S. bank. If you choose to send in your payment, the covers will be held for you for 30 days. This is enough time for payment to reach us from anywhere in the world if you mail the payment promptly. Online payments through our secure checkout will result in immediate shipment of your order. In order to navigate the site and submit an order via the shopping cart, it is necessary that you have your browser and firewall enabled to accept cookies. Cookies are controlled by both your web browser and firewall. If you find a problem, I suggest you go to the advanced privacy settings on both your web browser and firewall and specify that you will accept a cookie from discountcoverstore.com. 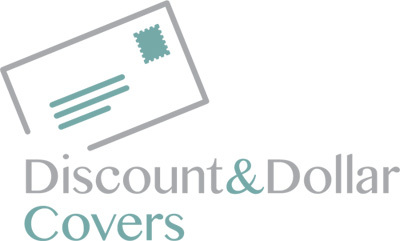 If there is some other problem, contact us at info@discountcoverstore.com. Please try to copy the precise error message you are receiving so I can get the problem fixed. When you see something you like, click the “Add to Cart” link below the listing. That item is automatically put into your shopping cart. Your shopping cart keeps all your things together for you until you’re ready to check out. A notification will open to let you know that you added the item. You can also review the items in your cart by going to the Shopping Cart page. Here you can double-check your order and remove any unwanted items. Nothing will be billed to your account or sent to you until you’ve completed the checkout process. When you are finished shopping, click the Proceed To Checkout button on the Shopping Cart page. The first time you visit this site, you will need to set up a new account. Just follow the instructions at the top of each page. You may save your account with a password so that the next time you visit, your information will be available. Here, you have the choice of entering a credit card number or pre-paying the order by cash, check or money order.